Are you podcasting yet? If not, you could be at risk of missing out on a golden opportunity to promote your business to a growing audience of avid fans – for free. All of a sudden it seems you can’t move for talk of podcasting. But why? In the UK it’s becoming increasingly popular, and as with any new media, the early adopters are more likely to reap the benefits while the rest of us could be left scratching our heads a couple of years from now, wondering why we didn’t start our own podcast show! 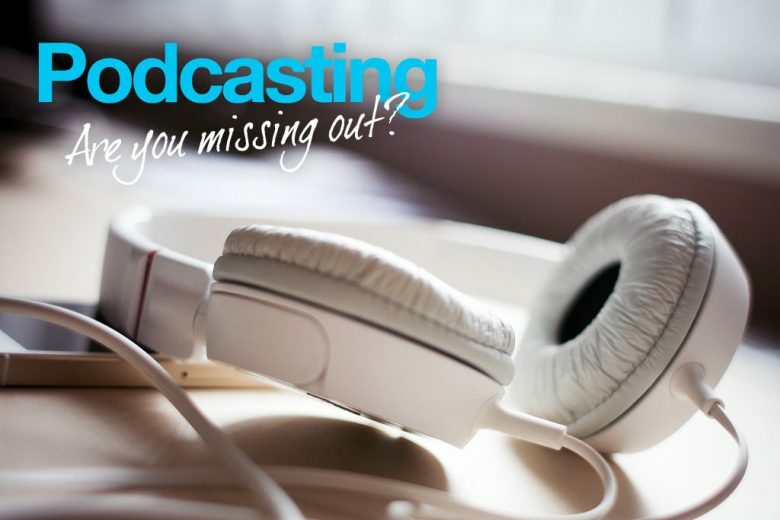 To help ensure you don’t miss the pocasting boat, Jenny Brewster explains what all the fuss is about, and how podcasting can help you. Why is podcasting so popular now? The increasing popularity of podcasting is all down to the rise of the smartphone. A podcast is just like a radio show – you create targeted content that your listeners can tune into on their phones while they’re on the go. They can listen to your podcast when they’re commuting to work, at the gym, in a dentist waiting room, and even when they’re by the pool (I always listen to the Judge Jools podcast when I’m working out). To cement the growing trend of podcasting, last week Apple announced that they are turning the Podcast App into a native app – which means that the Podcast App will now come pre-installed on all iPhones with the ios8 operating system and above. Though this is rolling out in the USA first, the UK won’t be far behind. Why should you think about podcasting? So, so far, so good. Podcasts are gaining in popularity, and likely to take off even further once Apple roll it out as a native app. But why should you start recording your own podcast shows? It all comes back to marketing – and I assume that if you have a business you at least do some marketing! For example, do you use social media, blog, send out flyers or write newsletters? They’re all great ways of staying connected with your customers. But podcasting gives you something more. It gives you the power to connect with a new audience through audio, and reach a potential audience of one billion in iTunes, or the sound cloud and Blackberry audiences. And the best thing is that it’s completely free. But how can creating your very own podcast radio show help to sell more of your products or service? When done the right way, your intro and outro on your show will drive listeners to your website – particularly if you offer them a freebie or incentive to visit. And when you dangle that lead magnet in front of a bunch of avid fans of your show, they’re likely to grab it – enabling you to collect their email data to talk to them offline through email marketing. None of this is rocket science – it’s simply applying all the marketing strategies you know, but in another format. Think of it as an audio blog – but one people don’t have to make time to read. They can enjoy your show when and where they like. In today’s busy, technology-driven world, time is a precious commodity. And you need to find ever more creative ways to capture people’s attention. Often the minute we sit down at a PC we’re either in work mode, tackling a to-do list as long our arm, or we’re immediately distracted by the many thing we need to read, check and respond to. But when we’re on the move, the content we tune into is purely our choice – giving podcasting a golden opportunity to entertain and inform. And if you’re savvy, you’ll be using it to position yourself as an expert, promote your offering and increase your profits. Because if you don’t – someone else will! You can learn more about podcasting and how to maximise its potential for your business or freelance services in Jenny Bewster’s free webinar.